Istanbul, Turkey—Last week, the Turkish journalist Oray Eğin returned to Turkey to attend his father’s funeral. It was the first time he’d been home in months, and when he arrived at Istanbul Ataturk Airport, he was detained. The news immediately spread, making headlines: Yet another Turkish journalist arrested! Last year, Reporters Without Borders ranked Turkey 148th in the world on its press freedom index, just a couple spots above Afghanistan, Pakistan, and Iraq. Almost 100 journalists are currently in jail. (Here is a list of their names.) This past week brought some rare good news: Four long-imprisoned journalists were let go. As one Turkish journalist posted on Facebook, “Four journalists released, only 96 more to go.” Most are anti-government secularists and dissident Kurds, and have been in prison for years, without actually being convicted of a crime. All are victims of a surreally dysfunctional justice system that is more directly controlled by political forces than ever before. More insidious has been Erdoğan’s quieter method of censoring critical journalists. Recently, the Turkish journalist Can Dündar explained in a newspaper column what it’s like to work in Erdoğan’s Turkey. Dündar, then a TV show host, had been preparing a segment about the prime minister’s controversial statement that he might deport 100,000 Armenians illegally working in Turkey. A superior called Dündar at the last minute to inform him that they would not be running the segment. Dündar challenged the hasty withdrawal, but soon received another call. It’s often big-name columnists and personalities who are getting in trouble. Columnists in Turkey aren’t quite like columnists in America; Turks publish many major national newspapers and there are more columnists at each paper. For argument’s sake, however, this is how strange things have become: The firing of Ece Temelkuran, Nuray Mert, and Mehmet Altan, as happened recently, would be similar to The Wall Street Journal, Newsweek, and The New York Times firing Peggy Noonan, Andrew Sullivan, and Maureen Dowd, all within the span of a few months. “I don’t even know what to write about anymore!” one columnist said. “I don’t know the rules.” The only place to tell the truth, journalists say, is on Twitter. No Turk has been fired for a Tweet—not yet. Freedom of speech has never fared very well in Turkey, a fiercely nationalist and often-authoritarian country. Numerous laws in the penal code can still be used to attack speech, including one that allows the prime minister to sue someone for “insulting” him. It’s easy to sue or arrest just about anyone (usually Kurds) for “inciting hatred” or supporting terror with the printed word. The AKP, the most powerful party in Turkey’s history, has expressed little interest in changing these national traditions. Indeed, Turkey raises the uncomfortable possibility that freedom of the press doesn’t matter much to youngish democracies whose people have many other things to worry about. The AKP, after all, hasn’t seen their support diminish. They won last year’s election with 50 percent of the vote, Erdoğan remains a popular and trusted leader, and Turkey’s international stature has blossomed, especially during the Arab Spring. Obama calls Erdoğan one of his best friends. A humming economy—a sense of progress—has kept Turks happy. 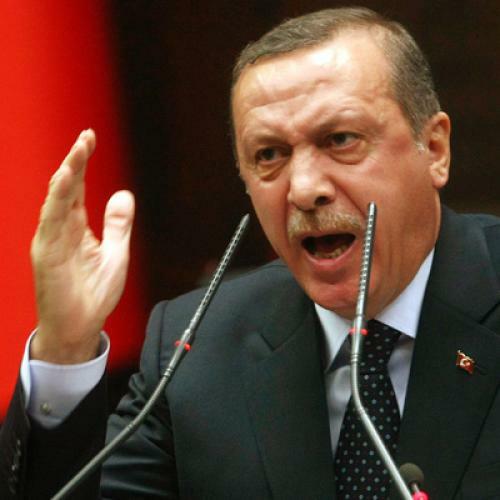 The more troubling question is why Erdoğan feels he needs to trample on journalists at all. The AKP has no credible political opposition, and more or less controls the judiciary system and the military. The businessmen love Erdoğan for making them rich, and he bullies them if they don’t. So why the thin skin over some newspaper columns? It’s possible that the repression of criticism is the purest reflection of Erdoğan’s character. Erdoğan, finally unrestrained by the secularist elite, seems to see no reason to endure critique, as if Turkish newspapers should be vanity projects printed right out of AKP HQ, all part of the Great Erdoğan Project. As is often the case in countries shaped by inflexible ideologies, the prime minister obliges his people to take a side: for him or against him. In that way, as one columnist recently noted, Erdoğan resembles Ataturk. Stuck in the nationalist, nation-forming mindset of an earlier era, and deluded by a decade of power, Erdoğan behaves as though what he wants is what the country needs. When Erdoğan came along in 2002, in many ways, he was what Turkey needed: a pro-European Union, religious Turk from a blue-collar neighborhood, whose charisma and forcefulness could unite a divided country, stand up to the military, and earn even the staunchest secularist’s faith. Erdoğan is far more representative of the real Turkey than any other previous leader. But no one ever thought him a democratic personality. That’s still not how Turkey works.